Construction of the microcanonical and canonical ensemble of networks from local constraints. In the past 15 years, statistical physics has been successful as a framework for modelling complex networks. 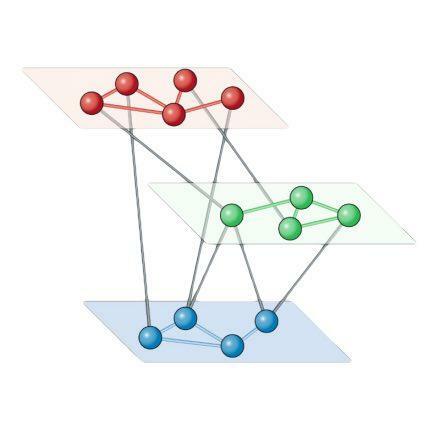 On the theoretical side, this approach has unveiled a variety of physical phenomena, such as the emergence of mixed distributions and ensemble non-equivalence, that are observed in heterogeneous networks but not in homogeneous systems. At the same time, thanks to the deep connection between the principle of maximum entropy and information theory, statistical physics has led to the definition of null models for networks that reproduce features of real-world systems but that are otherwise as random as possible. We review here the statistical physics approach and the null models for complex networks, focusing in particular on analytical frameworks that reproduce local network features. We show how these models have been used to detect statistically significant structural patterns in real-world networks and to reconstruct the network structure in cases of incomplete information. We further survey the statistical physics models that reproduce more complex, semilocal network features using Markov chain Monte Carlo sampling, as well as models of generalized network structures, such as multiplex networks, interacting networks and simplicial complexes.